"Through the years two of the most singular extremes have been the desire, on the one hand, to dwell forever with all the myths and trimmings of a vanished culture which may never have truly existed in the first place, certainly not the way we wished it to, and the frantic compulsion, on the other, to reforge ourselves as an appendage of the capitalistic, go-getting, entrepreneurial North. . . . Between these two extremes there have been complex lights and shadings, and considerable ambivalence and suffering. Mississippians watch the same television as other Americans, frequent the same shopping malls and national franchise chainstores and fast-food establishments, and live in the same kind of suburbias. . . . At the new century it is the juxtapositions of Mississippi, emotional and in remembrance, and the tensions of its paradoxes that still drive us crazy. . . . In my work on this book certain ironies never failed to tease me." Few writers have ever approached their native terrains with such an inclusive and compassionate understanding as Willie Morris. This book, his last, circles back home where he started. 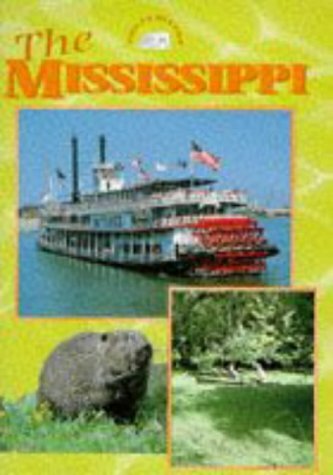 To love it and discover it one more time, he and his son David Rae take us on a trip through contemporary Mississippi. 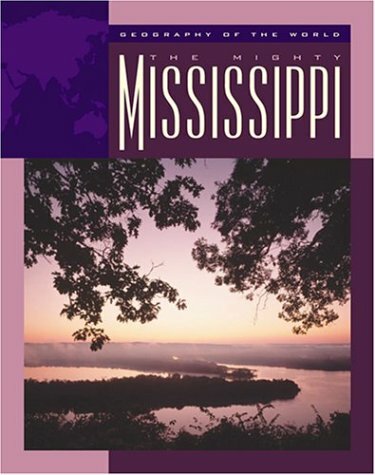 Who could express so passionately an understanding of the Mississippi landscape? Who could capture so unerringly the state's contrasting and often contradictory faces? For his readers the answer is Willie Morris. For Morris it is his photographer son. Surveying the familiar yet always strangely evocative panorama that became his literary terrain, My Mississippi contemplates the realities of the present day, assesses the most vital concerns of the citizens, gauges how the state has changed, and beholds what Mississippi is like as it enters the twenty-first century. This southern homeland to which Morris returned after terminating his career as a New York editor remained for him a tantalizing mystery, the touchstone for all his thoughts, and one of the last unique places in America. 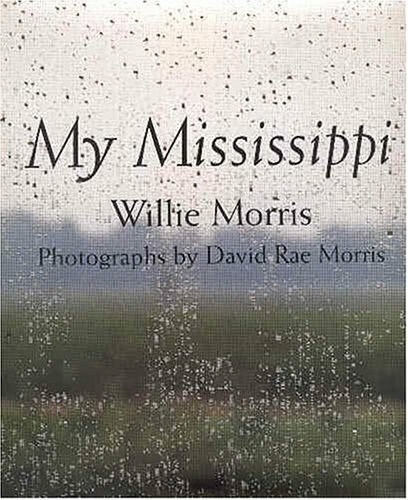 For Morris, despite its flaws, Mississippi is beloved. With father and son in their peregrinations we witness what they see and hear -- "the bugs on our windshield in the Delta springtime, the off-key echoes of high-school bands from the little Piney Woods football fields in the autumn, the supple twilights and sultry breezes on 'the Coast,' the hunting camps and picnics, and parades and pilgrimages, the catfish ponds and graveyards, the roadhouses and joints near the closing hour, the art galleries and concert halls, the riverboat casinos and courthouse squares, the historical landmarks of the old and the industrial complexes of the new." "It has been a pleasure," Morris says, "more than that, an honor, to collaborate with my son on this project." The son grew up in New York City, seeing his father's native land from the perspective of an outsider. 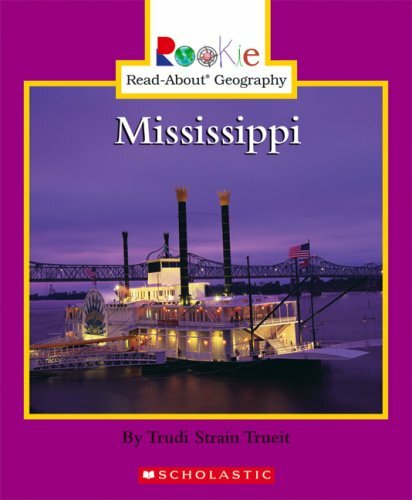 As an adult he has chosen to live in or near Mississippi and has spent the past twenty years traveling and photographing the state. In a thoughtful and provocative photographic narrative entitled "Look Away," he presents striking, full-color images of his Mississippi. This complementary collaboration of father and son unites their separate visions and shared love of a place that remains infinitely intriguing for everyone. 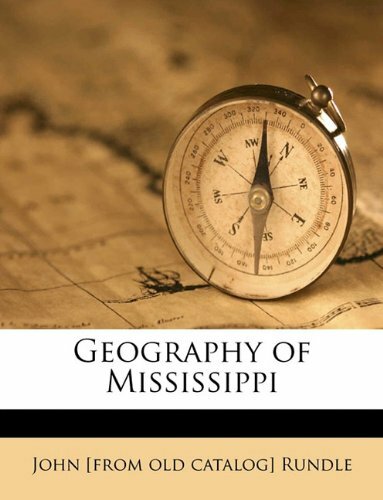 Willie Morris (1934-1999) wrote many books, including North Toward Home, The Courting of Marcus Dupree, and After All, It's Only a Game (all available from the Univer-sity Press of Mississippi). I agree with Jim Frazier that this book is worth the read. This is a compelling portrait of a wickedly alluring slice of North America, replete with "boogeymen" and victims, deep wounds in the psyche of our great country begging to be healed. Scathingly simplistic photographs add to the feeling of having enjoyed a piece of cake, even though the cook forgot to frost it.Yes, folks, strange fruit still hangs from the trees in these parts. May God keep a watchful eye o'er the skies of Mississippi. 3. 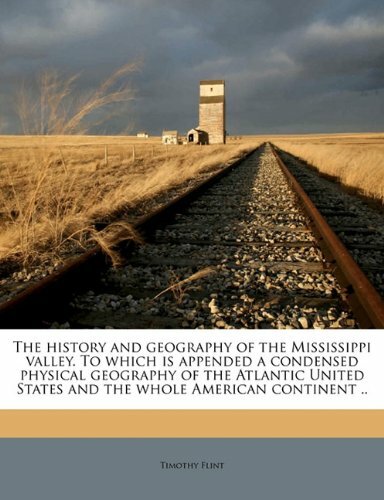 THE HISTORY AND GEOGRAPHY OF THE MISSISSIPPI VALLEY. To Which Is Appended a Condensed Physical Geography of the Atlantic United States, and the Whole American Continent. Second Edition. In Two Volumes. 5. 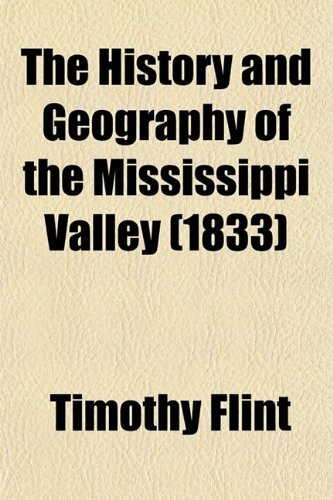 The history and geography of the Mississippi valley. 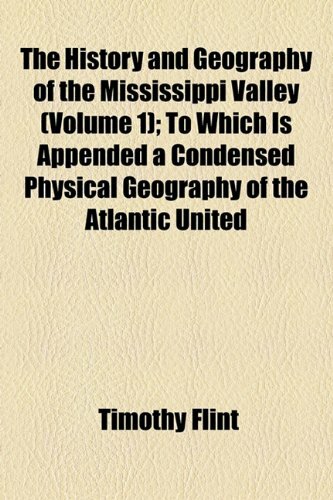 To which is appended a condensed physical geography of the Atlantic United States and the whole American continent .. 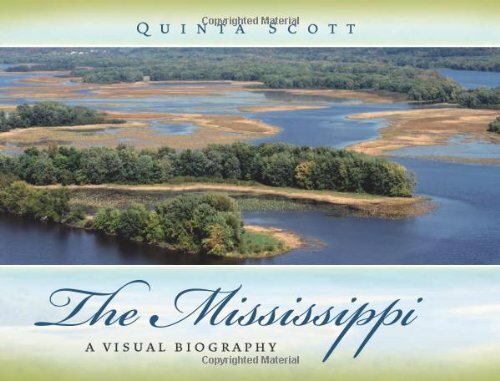 This book, the result of many years of travel and research, is one of my most treasured books.Using an antique big view camera, Quinta brings photographic images almost into 3D on these pages.Quinta uses her photos and her texts to take you to many byways, inlets, and outlets formed by or left behind by the Mighty Mississippi--places you have never heard of.She found them, visited them, photographed them, and wrote about them in this magnificent book.I have spent hours pouring over the pages and intend to spend many more hours lost in the loveliness of this book.If you are a "coffee table book" person, then you should definitely put this one at the top of your wish list.I would like to personally thank the author for such a major undertaking and the end result. Magnificent photographs and facts about the river we too often take for granted. 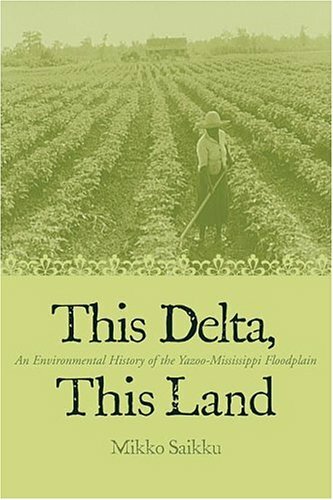 This Delta, This Land is a comprehensive environmental history of the Yazoo-Mississippi Delta--the first one to place the Delta's economic and cultural history in an environmental context. 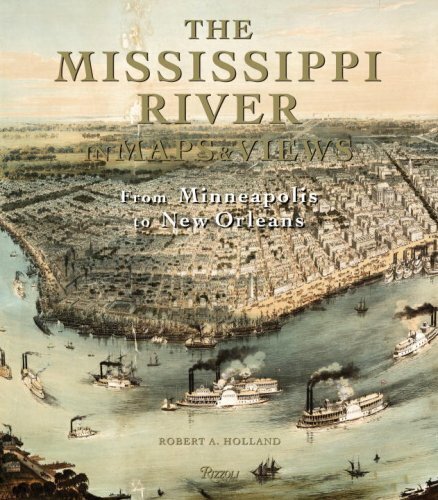 The Delta, the floodplain between two great rivers in the northwestern corner of Mississippi, has changed enormously since the Civil War. Agriculture, lumbering, and flood-management schemes have transformed it beyond recognition--and beyond any prospects for a full recovery. However, says Mikko Saikku, the 150 years following the Civil War brought greater environmental change than we generally realize. 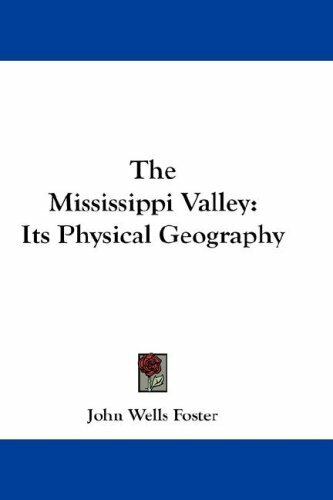 Indeed, the long-term environmental history of the Delta is much more complex than our current view of it, which privileges recent periods rather than presenting the entire continuum. Looking across thousands of years, Saikku examines successive human societies in the Delta, drawing connections between environmental and social problems and noting differences between Native Americans and Euro-Americans in their economies, modes of production, and land-use patterns. Saikku's range of sources is astonishing: travel literature, naturalists' writings, government records, company archives, archaeological data, private correspondence, and more. As he documents how such factors as climate and water levels shaped the Delta, he also reveals the human aspects of the region's natural history, including land reclamation, slave and sharecropper economies, ethnic and racial perceptions of land ownership and stewardship, and even blues music. A striking achievement relating culture and heritage to the physical land. This digital document is an article from Journal of the Mississippi Academy of Sciences, published by Mississippi Academy of Sciences on January 1, 2001. The length of the article is 6558 words. The page length shown above is based on a typical 300-word page. The article is delivered in HTML format and is available in your Amazon.com Digital Locker immediately after purchase. You can view it with any web browser. This digital document is an article from Journal of the Mississippi Academy of Sciences, published by Mississippi Academy of Sciences on January 1, 2004. The length of the article is 3475 words. The page length shown above is based on a typical 300-word page. The article is delivered in HTML format and is available in your Amazon.com Digital Locker immediately after purchase. You can view it with any web browser. This digital document is an article from Focus on Geography, published by Thomson Gale on September 22, 2006. The length of the article is 2853 words. The page length shown above is based on a typical 300-word page. The article is delivered in HTML format and is available in your Amazon.com Digital Locker immediately after purchase. You can view it with any web browser. 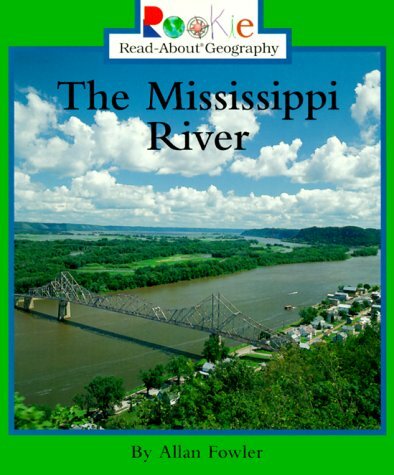 Title: Photographic journal: the Great River Road in the Upper Mississippi River Valley.